Soukha Kachittarong was all in with ace queen and was up against the pocket nines of Mike Clemente. The board ran out 3-8-10-2-4 and the pocket pair held up, sending Soukha to the rail in 3rd place. He will collect $12,685 for his efforts. 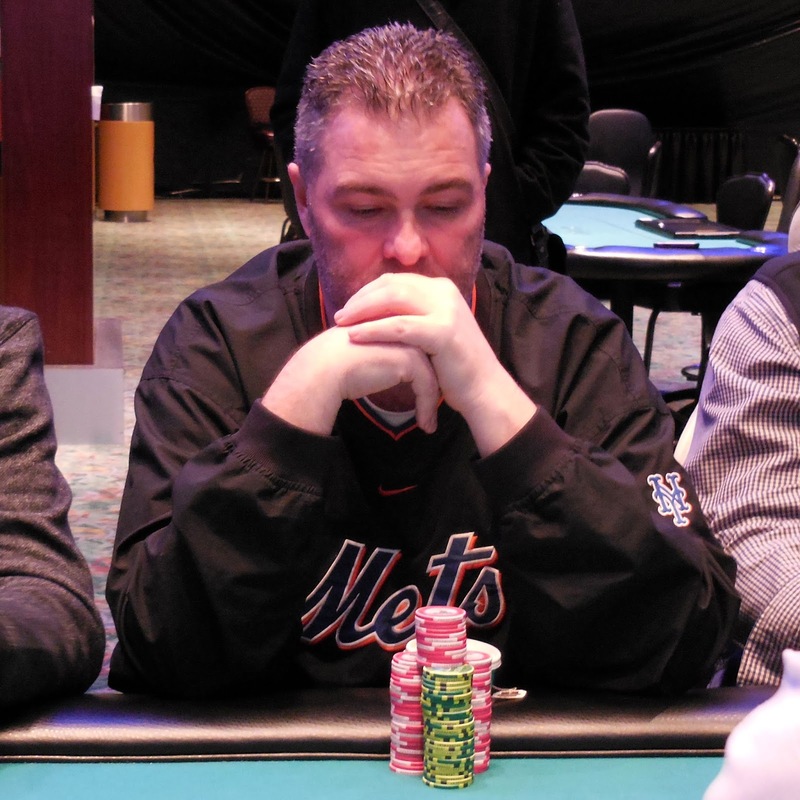 On the next hand, Ryan Martin was all in for 695,000 and Brian Morgan made the call. 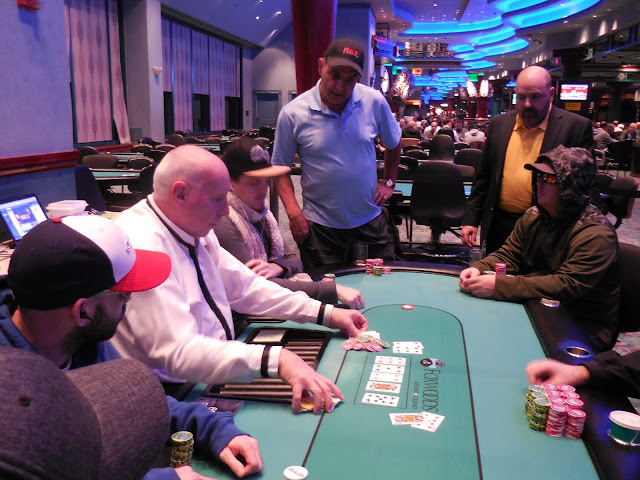 Mike Clemente moved all in over the top and Brian folded. Ryan held ace queen but was behind Mike's pocket kings. Ryan could not find an ace to survive, and he will exit the tournament in 4th place. He will collect $9,400 for his efforts. 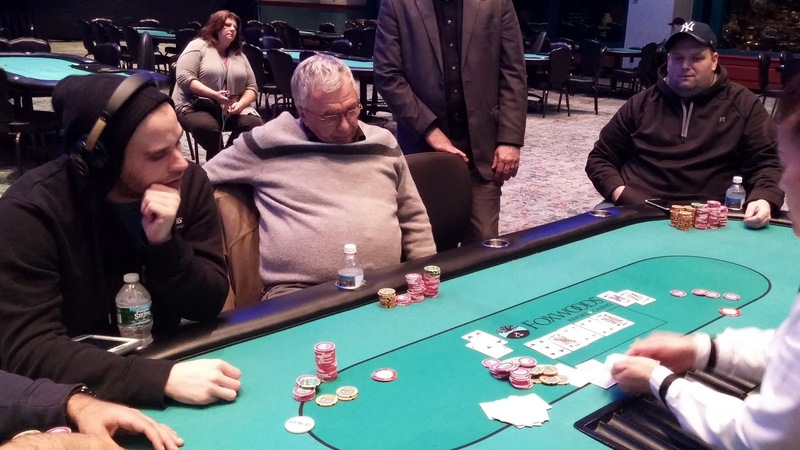 Alex Rocha was all in preflop with A-J and was called by Mike Clemente holding A-Q. No jack came for Alex and he will be our 5th place finisher, earning $14,230 for his efforts. 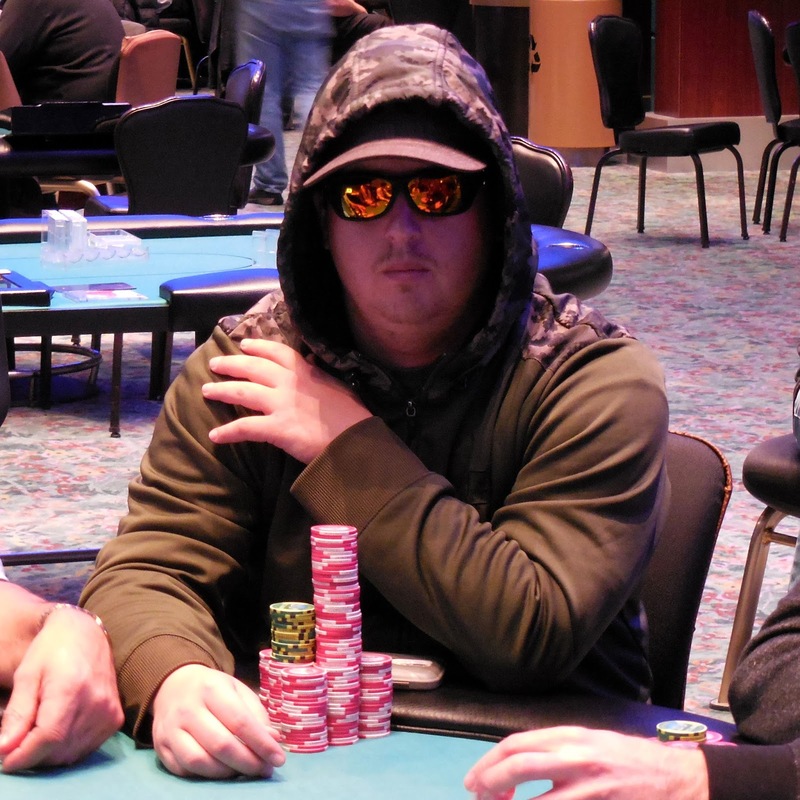 Daniel Kusnerak moved all in after Alex Rocha opened. Soukha Kachittarong reraised all in and Alex folded. Daniel had run his [Ah][Jd] into Soukha's [Jh][Jc]. The [5h][8c][Td][3c][Kd] board did not bring a needed ace, and Daniel will exit this tournament in 6th place. He will collect $9,774 for his efforts. The final six have agreed to a deal where each player is guaranteed a payout based on their chip count, and they will play for an additional $12,598. On a [6d][5c][4d] flop, John Caputo was all in holding [Qd][9d] and was up against the [6s][4h] of Alex Rocha. John would need a diamond to survive, but the [Js] turn and [9c] river did not complete his flush. 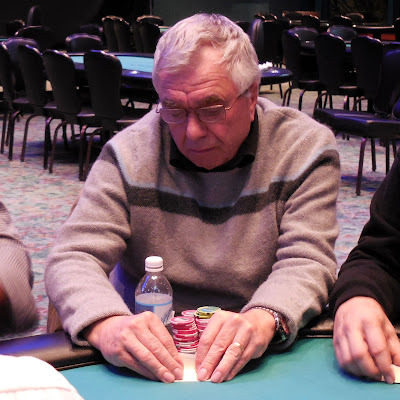 John will exit this tournament in 7th place, collect $4,772 for his efforts. Zack Deneen was all in preflop holding [Jc][3c] and was called by [Ad][Qs]. The [8c][8s][6c] flop gave Zack a lot of outs to win, but the [5h] turn changed nothing. 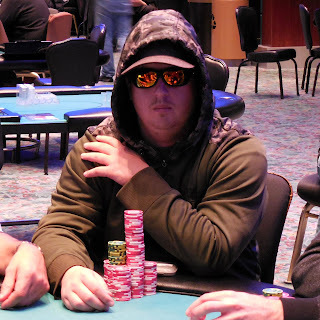 The [Qd] on the river gave his opponent top pair, and Zack will have to settle for $3,761 for his 8th place finish. The board read [8d][9h][Tc][Ts][9c] and Soukha Kachittarong had moved all in, putting the pressure on Brian Morgan on the button. There was about a million in the pot already, and Brian eventually called, creating a 2,800,000 pot. He tabled [7s][6s] for a flopped straight, and Soukha could only show [Ah][3c] for a failed bluff. Brian would double up and become the chip leader with 8 remaining. After a failed attempt at going all in preflop, Richard Kantor was all in on the [Jd][8s][Td] flop and was called by Daniel Kusnerak. Richard held just [As][7h] against Daniel's [9h][8d]. The [Ks] turn gave Richard some additional outs, but the [Th] river wasn't one of them. 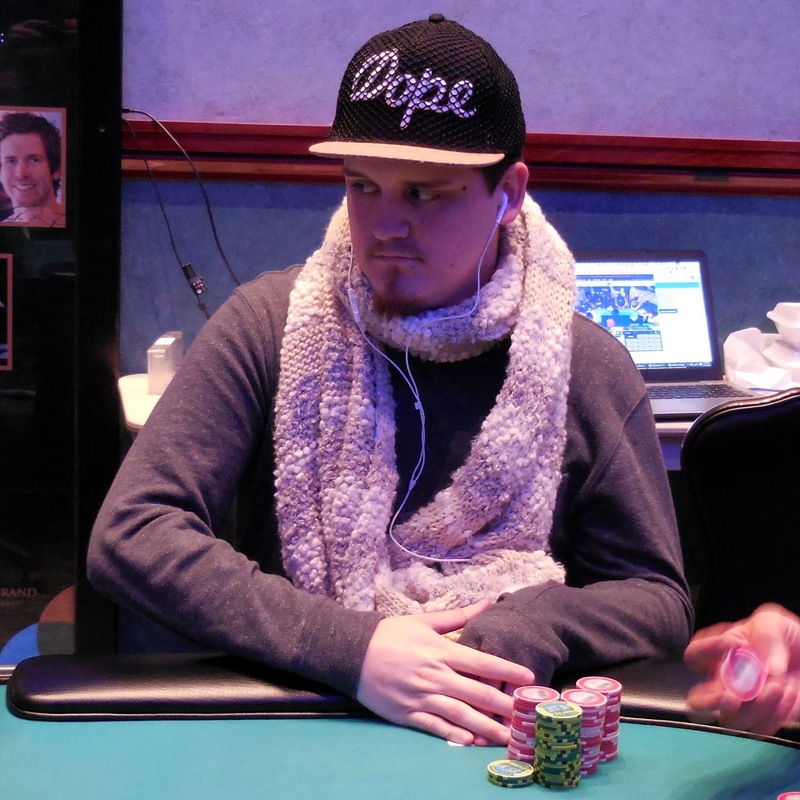 Richard will exit this tournament in 9th place, collecting $2,916 for his efforts. 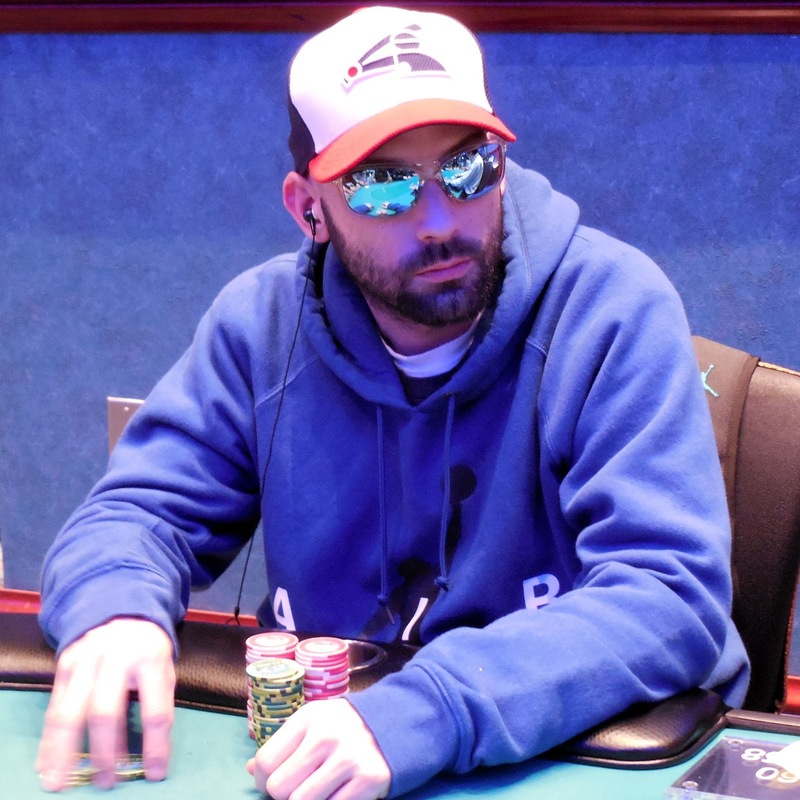 From under the gun, Zack Deneen raised to 85,000 at 20,000/40,000 blinds with a 5,000 ante. Dayo Ajao called all in for less, and Mike Clemente re-raised. Action folded back to Zack, and he folded after a brief pause. The [8d][5c][3d] flop was no help for Dayo, but he picked up a gutshot on the [Ah] turn. The [3h] hit the river to send Dayo to the rail in 10th place. He will collect $2,111. Zack was overheard saying he folded a pair of nines. 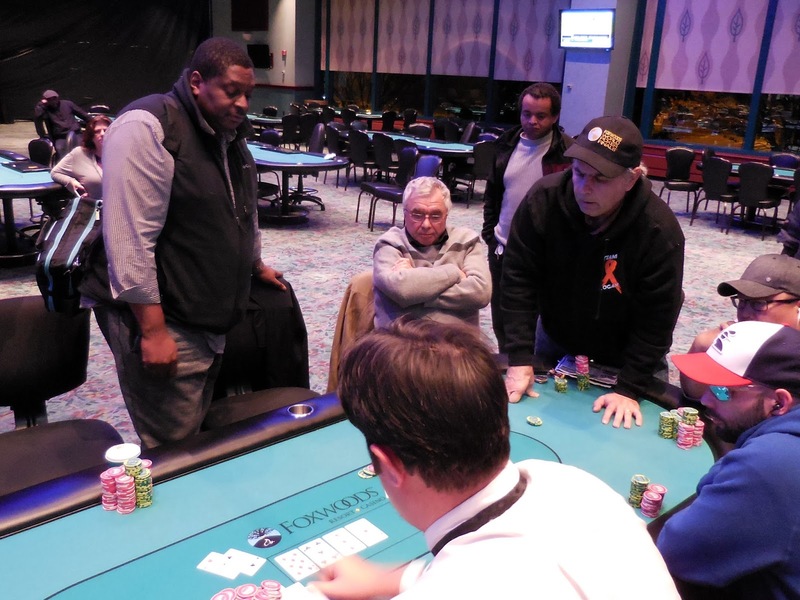 Event #5 has just reached the final table, and the elimination came at the hands of Soukha Kachittavong. Soukha has been on a tear, dropping to as low as 170,000 before telling the floor staff to watch his come back. He did exactly that, and now sits on almost 1,800,000, good for the chip lead. The players will be taking a brief break, and chip counts and seating assignments will be posted shortly. 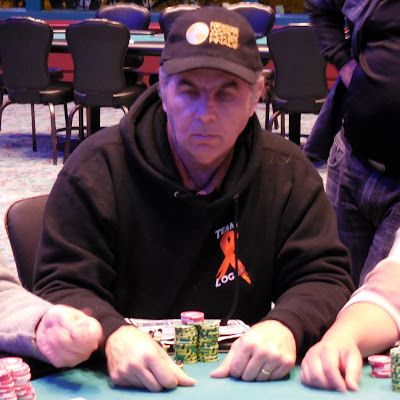 Brad St. Vincent was all in preflop holding [Ac][4c] and was called by his opponent holding [Ks][Kc]. Before the flop came, Brad conceded, "Nice hand." But the [5s][Jd][4d] flop brought Brad some outs. He wasted no time in hitting his seven-outer when the [4h] hit the turn. Brad would double up if he could avoid one of the two remaining kings. Instead, the [Js] hit the river, and Brad will double up to over 400,000. "It's good to win the small ones and lose the big ones," he joked after the hand. Event #6 $300 NLH Bounty is down to 42 players and is 20 minutes from a dinner break. 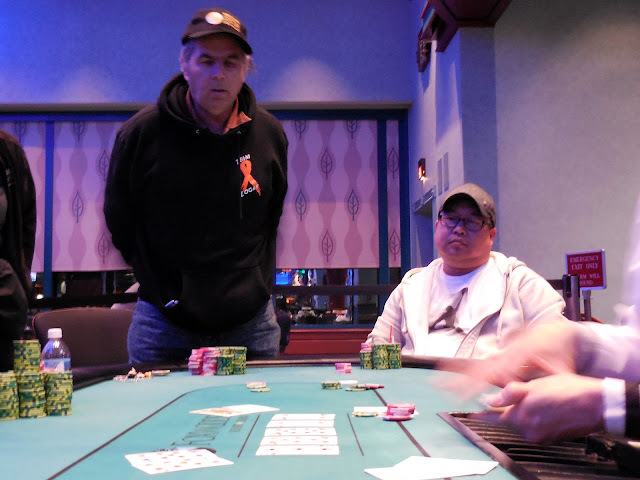 Chris Leong has collected 3 bounties and currently has 61,000. Dinner break was originally scheduled for after Level 25, but it was determined that that would be too late. So the remaining 17 players will take a one hour dinner break at the end of this level in 2 minutes. Play will resume at approximately 7:00pm EST. With the elimination of our 19th place finisher, the final two tables in Event #5 have been reached. The final 18 are currently redrawing for seats at the final two tables. Soukha Kachittavong is doing well with 800,000, while Alex Rocha has 660,000 and Brad St. Vincent has 300,000. We arrived to find James Campbell involved in a three way all in, James holding pocket nines against two player's A-K's. The flop was safe for James, but an ace on the turn meant James had two outs to survive. The river bricked, and James was sent to the rail in 30th place for $911. The two remaining players in the hand will chop the pot. The 54 players remaining in Event #5 $400 NLH are now in the money. Everyone is guaranteed a minimum cash of $708, but all are looking towards the $30,011 first place prize. Still in the hunt for the win are: Souhka Kachittavong, Matt Wantman, James Campbell, Alex Rocha, and Brad St. Vincent. Cards are back in the air for Day 2 of Event #5 $400 NLH. 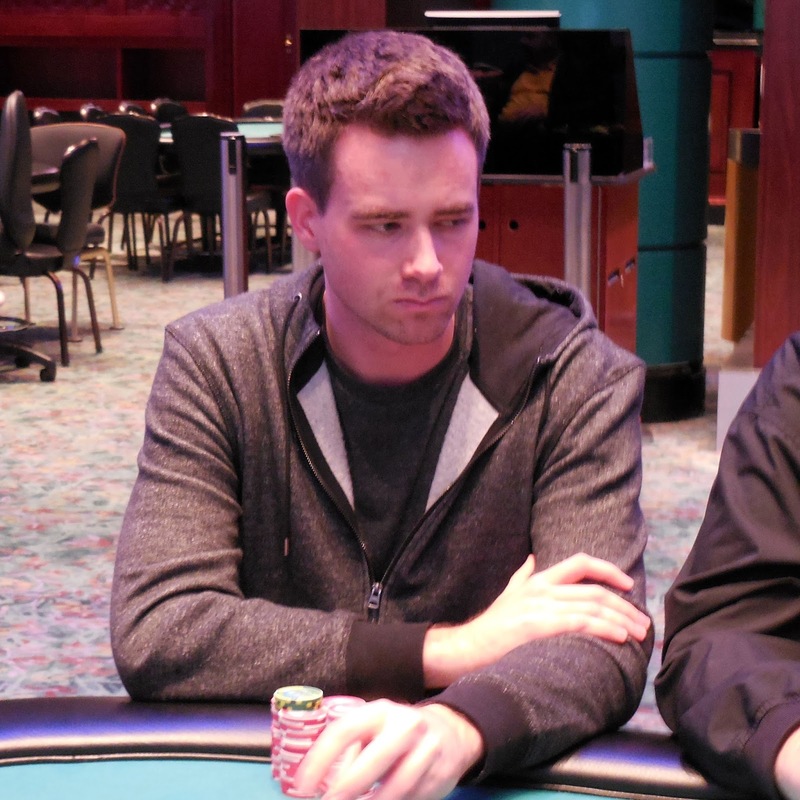 85 players remain from Flights A & B combined, and Matthew Cooper is at the top of the chip counts with 259,000. Brad St. Vincent is right behind him in 2nd place with 231,000 and Soukha Kachittavong isn't too far behind with 177,000, just outside of the top 10 in chips. Blinds continue at 1,500/3,000 with a 500 ante, and levels are 40 minutes in length. You can watch the featured table on our live stream at www.FoxwoodsLive.com. Meanwhile, Event #6 $300 NLH Bounty has also begun. Players start with 20,000 in chips, and each player eliminated will award a $50 bounty. Registration and re-entries are available until the start or level 9, or approximately 3:30pm. Registration will remain open until the start of level 9 (approximately 4:30pm). Play will end after level 15 (approximately 8:15pm) or at T.D. discretion. Levels will be 40 minutes. With 10 minutes on the clock the card has been drawn, and it has been determined that 4 more hands will be played. The board reads 50 players remaining and survivors will return tomorrow at 12pm for Day 2.